Learning games that focus on the alphabet are perfect to use all year long. 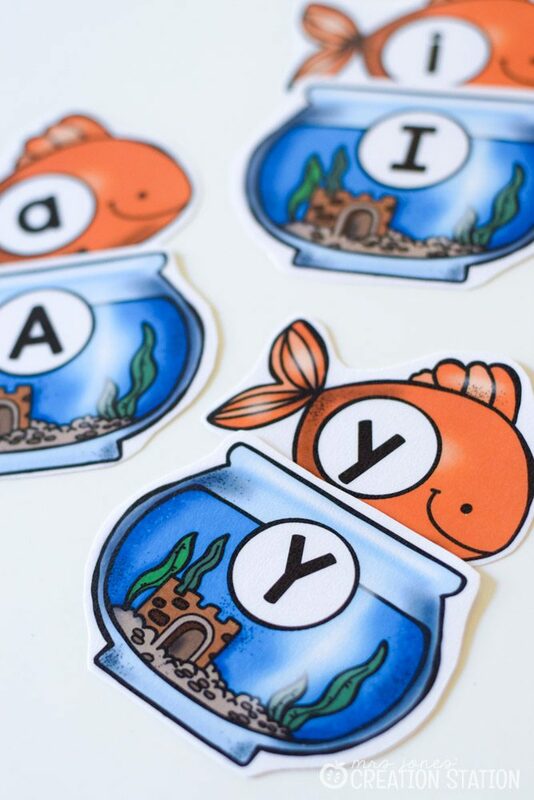 This fishbowl alphabet game is so easy to differentiate between learners who are being introduced to the alphabet or those with more alphabet knowledge. This simple and fun game helps learners make a connection between the capital and lowercase letters. When learning the alphabet, having a game that explores all the letters of the alphabet is ideal. Focusing on one or a few letters at a time is not only great for instruction, but it is essential to expose learners to all the letters. Chances are your learners are in different stages of alphabet knowledge. 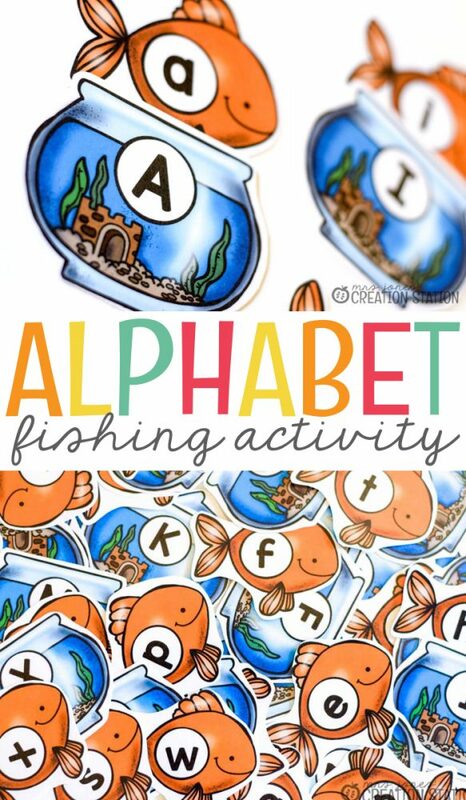 So, you need a fun, interactive alphabet activity that can be used a variety of ways. Matching the capital and lowercase letters is one way kids like to play this alphabet game. Mix it up by adding different rules to change up the standards for other learners. Another way to use this alphabet game is by playing, “What Comes Next?”. After matching the letters or a group of letters, simply place two letters together and have your learners find the letter that comes next. Once your learners are familiar with letter names, this game puts a fun spin on teaching or reinforcing alphabetic order. Use this resource to help your kiddos practice concentraction and focus, too! Add paper clips to the fish cards and tie a magnet on a dowel rod with string and…voila! This fishing pole works, too. 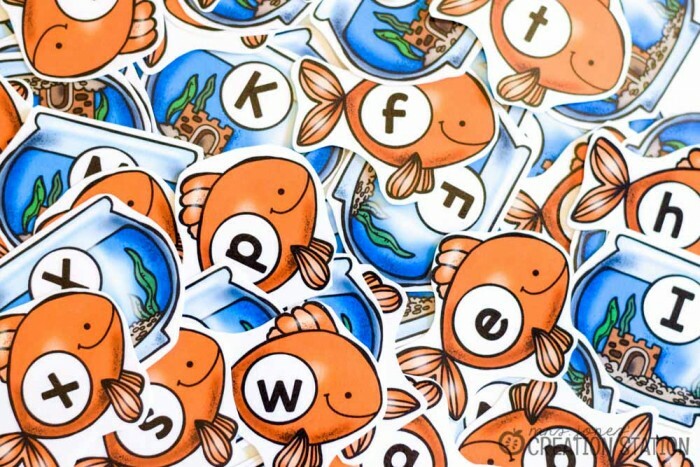 Learners love being able to “fish” for the lowercase letters and the extra practice he will get with those tricky letters of the alphabet is perfect. You can purchase this complete alphabet activity on my Teachers Pay Teachers store by clicking the image below. 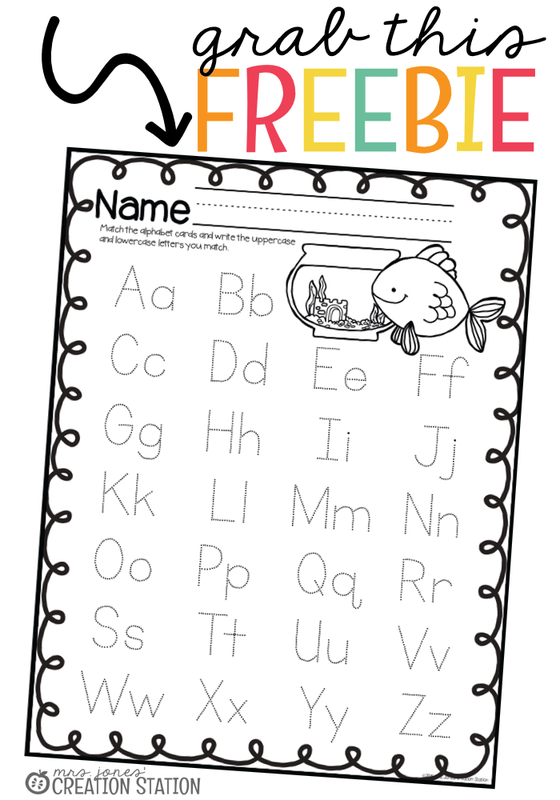 As an added bonus, you can grab a FREE LETTER TRACING printable that goes with this alphabet game by clicking the download image below.